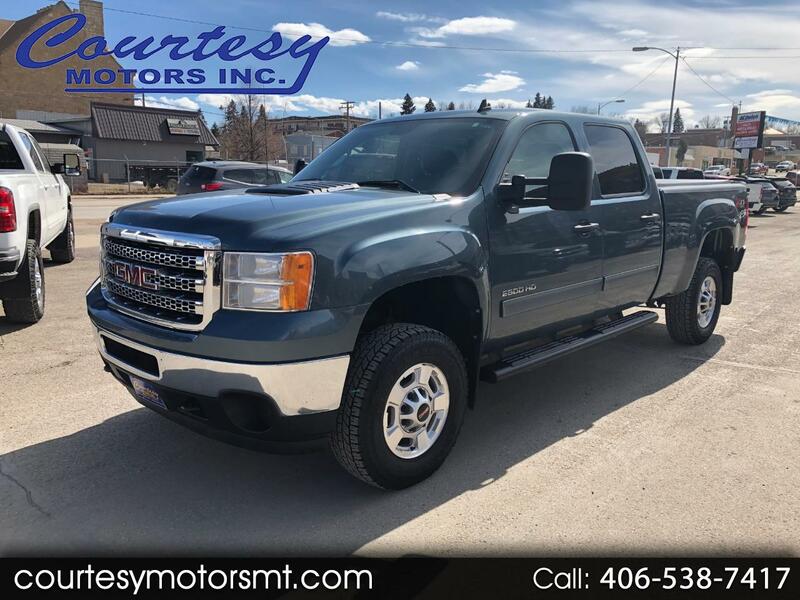 Used 2014 GMC Sierra 2500HD SLE Crew Cab 4WD for Sale in Lewistown MT 59457 Courtesy Motors Inc.
Clean Car Fax on this 2014 GMC Sierra 2500HD Crew Cab Standard Box! It's a local trade and we have most of the service records. SLE with power seat, Bluetooth, On Star, Z71 Package, bedliner, B & W gooseneck hitch and more! Don't miss out on this well maintained 2014 Sierra HD with the Duramax Diesel and Allison Transmission!